On August 27, 2016 the Cycling Embassy of Japan will once again be hosting Tokyo's one and only annual illuminated group ride, the Firefly Ride and you're all invited! A fun, family friendly event the Firefly ride invites participants of all ages on bicycles of all style to decorate their rides with lights and sound then in the evening cycle the summer streets of Tokyo in a celebration of cycling. Cyclists will gather at the Harajuku gates of Yoyogi park at 6pm to put the finishing touches on their bicycles then set off on a short easygoing ride through the center of Tokyo with the occasional stop for food beverages and a chat before ending back at Yoyogi where prizes will be awarded for the best illuminated bicycles (and riders!) and the celebrations can continue well into the night. 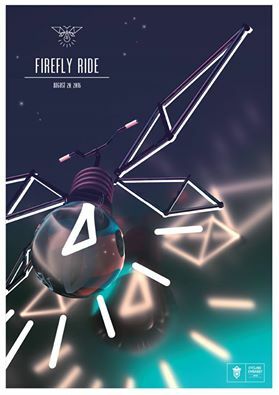 A grand spectacle of colour, light and sound, featuring bicycles of every type imaginable, the Firefly Ride aims to promote the fun, friendly and social side of cycling. Check out photos from last years event here! For more information including a guide to decorating your bicycle visit the Firefly Ride homepage and let us know you're coming via the Facebook Event Page.